The Coca-Cola Company is the world’s largest beverage company and continues to offer an assortment of refreshments. Coca-Cola, their most valuable brand, is a carbonated soft drink. The iconic beverage was first sold by its creator, John. S. Pemberton, at Jacob’s Pharmacy in Atlanta Georgia. Under the new leadership of Asa Candler, the logo with the Spencerian script was trademarked at the US Patent Office in 1893. From then on, the company has expanded their product offerings with other carbonated drink flavors as well as non-carbonated drinks and exported their bottling operations outside of the US. These innovations propelled them as a global power. Working for the company entitles employees to a comprehensive benefits package with generous pay, annual incentives, paid holiday and time off, health benefits, insurance and a 401(k)-retirement plan. Employees also get mentoring and training opportunities. People remain loyal to the brand because of the substantial compensation package, the realistic development opportunities, and the culture of “passion to action” imbibed in all their employees. How old do you have to be to work at The Coca-Cola Company? Applicants need to be at least 18 years old and have a GED high school diploma or a GED equivalent. Some positions require a bachelor’s degree and related work experience. Being a global company, they offer a wide selection of employment opportunities from various career areas such as retail, supply chain and distribution, accounting, and quality control. Stockroom and Replenishment Associate: Performs general warehousing duties in the retail store. They receive and stock incoming freight, pick and pack orders for delivery, and pick items from storage bins in accordance with the pick list. Applicants must have a valid driver’s license and previous warehouse experience. Retail Sales Associate: Retail associates are brand ambassadors that assist in driving store revenue through a variety of tasks. They oversee all functions of the operations floor and act as knowledge experts on retail merchandise. They help maintain inventory levels, as well as assist with merchandise order replacement, processing, and replenishment. Shipping and Receiving Clerk: Oversees the shipment of incoming materials, supplies, and products. They’re responsible for receiving and inspecting product condition. They maintain product, packaging, and material inventory based on historical trends and forecasted demands. This post requires at least three years related experience to apply. Material Handler: A material handler picks up customer orders, handles inventory transactions, and ensures effective stock-keeping operations within Flavor Manufacturing. They operate industrial equipment to move raw materials and finished product within the warehouse or production facility. To apply, a year’s worth of prior warehouse/stocking/forklift experience is required. Warehouse Operator: A warehouse operator handles, records, and dispatches goods in a store or warehouse. They receive incoming goods, conduct quality checks, and assist in operating industrial forklifts for material transfer and warehouse management. Having at least two years of warehousing or distribution experience is a must. Member Services Representative (MSR): The MSR represents the company credit union to its members. They provide efficient and accurate service in processing credit union-related requests and transactions. They perform account maintenance and modifications as needed. They create and maintain all required credit bureau reports and documents. Cash Application Processor: A cash application processor maintains the cash process, policies, procedures, and controls to satisfy business requirements. A bachelor’s degree in Finance, Accounting, or related degrees, plus a year’s experience in credit or A/R in a commercial environment, is required to apply. Accountant: Performs accounting and analysis activities for accounts payable. They maintain accurate vendor records and conduct regular audits to reduce the risk to the company. A bachelor’s degree in Finance or Accounting plus two to four years of related work experience are preferred. Credit Collections: Credit collections perform all collection activities for customer accounts in accordance with the company’s credit policy and practices. They conduct financial analysis based on customer payment patterns to identify the company’s risk exposure to loss. Experience in credit and collections is required. Quality Technician: Quality technicians conduct quality checks by analyzing materials used and finished goods on the sensory, chemical, and microbiological levels. They provide the framework and tools for ensuring the quality and integrity of products and for training employees regarding these standards. They provide documentation for all processes covered. The best way to apply is through their Careers page. It would list all open positions in different locations all over the US. Each posting would have the job details, a list of primary responsibilities, and qualifications required. Once you find the job that matches your qualifications click on Apply. This will lead you to the workday login page where you can sign in and update your profile with personal details, educational background, employment history, and schedule availability. Applicants are recommended to sign up and be part of the Talent Network. Joining this network lets you receive email alerts for new or updated positions that better fit your search criteria. This also gives you access to press releases. Applicant resumes are recommended to be concise and include a list of strengths, competencies, and skill proficiencies. Applicants requiring assistance can also call a hotline. In interviews, applicants should be prepared to relay how their skills can support them in the position they’re applying for. Also, keep in mind that the company is an equal opportunity employer, meaning they’re focused on inclusivity and collaboration. “We are the brand. One Company. One Team. One Passion.” The company cultivates the values of collaboration, integrity, and excellence to all their employees while ensuring that together they lead the brand to success. “A world without waste is possible” – is the company’s ambitious goal. To help prevent waste from choking waterways and to preserve marine life, they committed to help collect and recycle a bottle or can for every one sold by 2030. 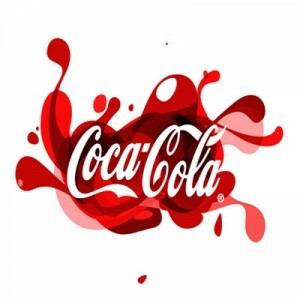 Coca-Cola is the biggest selling soft drink and one of the most recognizable brands in the world. The name “Coca-Cola” is even the second most-widely recognized word next to “okay”. The Ekocenter initiative was launched in 2013. Ekocenters are solar powered kiosks that sell a variety of Coke products and other basic needs to remote areas. They’re built in partnership with local communities and are run primarily by women. 1 How old do you have to be to work at The Coca-Cola Company?